The Compression Sock from 1000 Mile, by reducing the build up of lactic acid, accelerating blood circulation and preventing muscle oscillation, minimises muscle fatigue and soreness, enabling faster muscle recovery after exercise or injury. 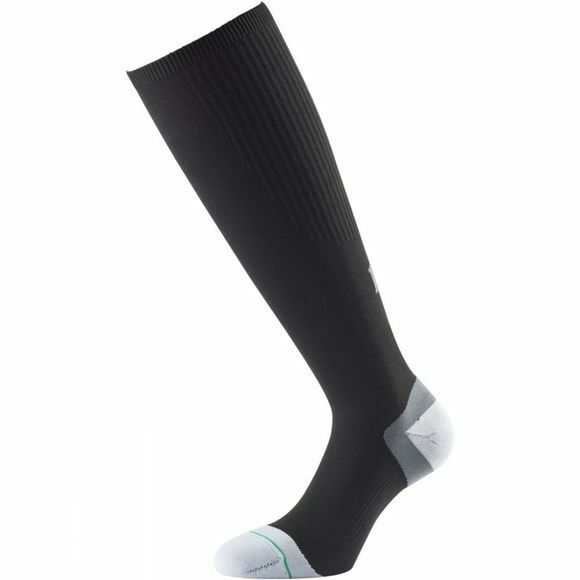 Graduated Compression Technology–by a decreasing degree of pressure the sock improves circulation to move old blood out and new oxygenated blood into the region. This reduces muscle fatigue, minimizes swelling and speeds recovery. The arch and ankle bracing give additional support whilst the padded heel, ball and toe zones, ultra flat toe seam and fitted heel all provide extra comfort.